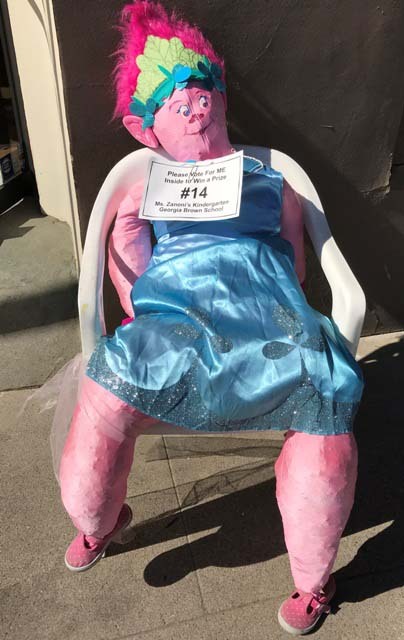 –Local schoolchildren have once again put their personal touch on creative scarecrows, with merchants in downtown Paso Robles “adopting” these unique creations and displaying them at the front of their businesses. 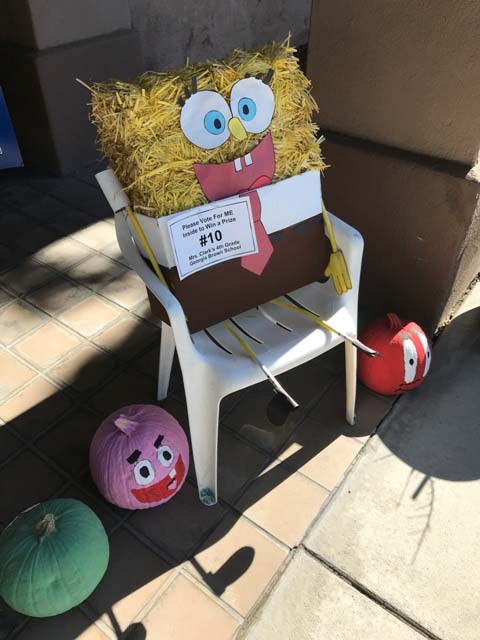 In the scarecrow contest, people were invited to visit businesses with scarecrow displays and vote for their favorite; voting closed Oct. 27 and ribbons will be placed on the winning creations in several categories. 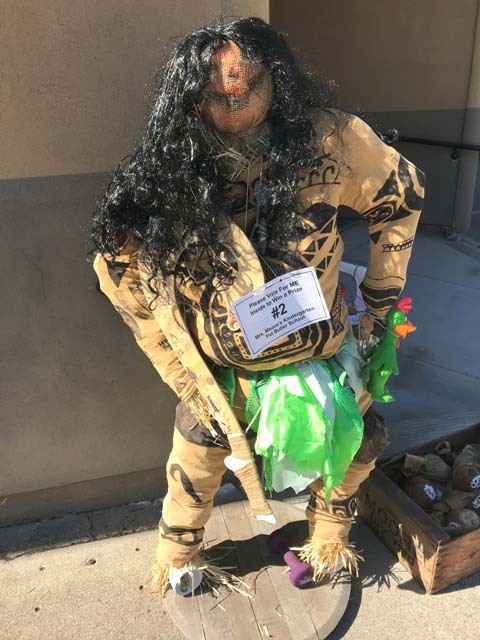 The scarecrows are created annually by students, as a classroom group, throughout Paso Robles schools. Winning classrooms are eligible to earn awards, and voters often win mystery prizes at stores where ballots are cast. 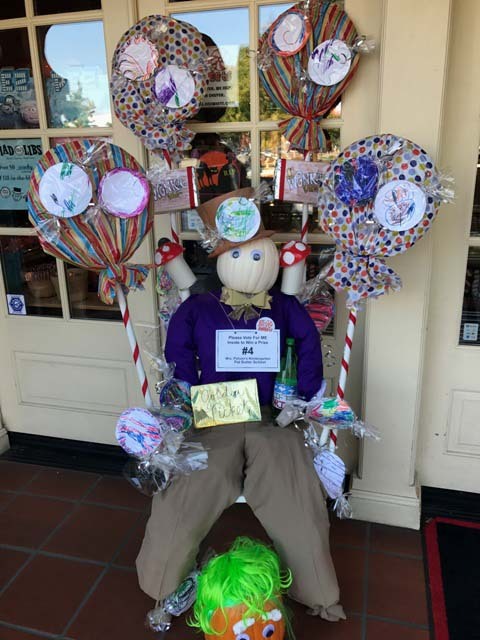 Students from Mrs Reynold’s second grade class at Trinity Lutheran School created this scarecrow situated at the entrance of Headhunters barber shop. 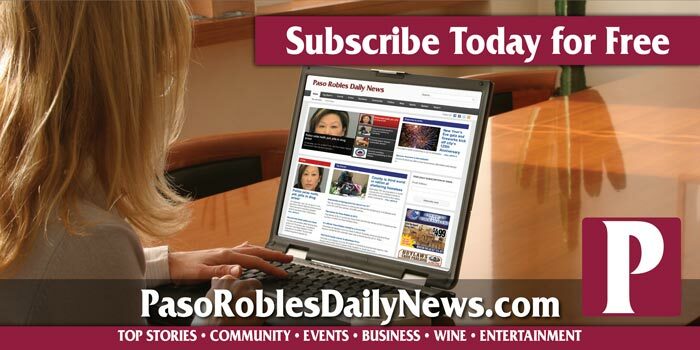 Local businesses invite everyone in the community to downtown Paso Robles on Tuesday, Oct. 31 for the annual Safe & Fun Halloween Downtown event, sponsored by Downtown Main Street Association participants. Merchants will hand out candy to trick-or-treaters from 4 to 7 p.m. Ghouls, ghosts, and the Main Street witches will be on-hand for this wildly popular Halloween event that promises to be safe and fun for children of all ages. Don your cutest, most original, or scariest costume, venture downtown, and take part in the fun! 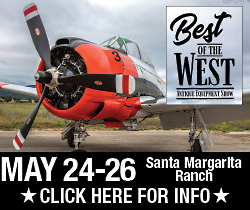 The El Paso de Robles Area Historical Society will hold a no-host barbecue. 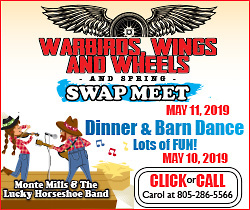 Performers with the Paso Robles Youth Arts Foundation and Class Act Dance will help provide entertainment. Mrs Clark’s fourth grade classroom students at Georgia Brown School made this scarecrow which is seated outside of Couch Potato Furniture. 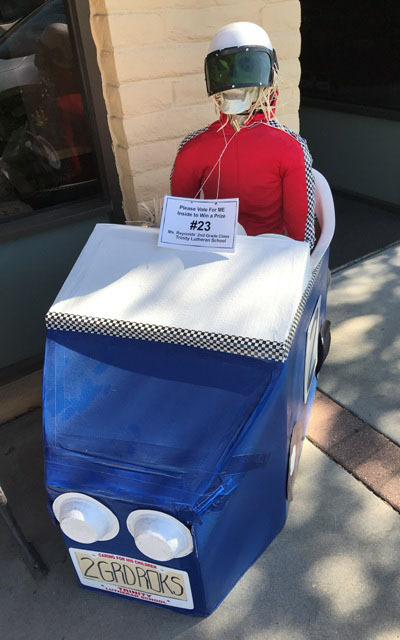 Visit Mrs. Zanoni’s kindergarten students’ scarecrow from Georgia Brown School at the entrance to Ambiance. Mrs. Moore’s kindergarten classroom students from Pat Butler School have their scarecrow displayed in front of San Luis Sports Therapy.